"The MechWarrior® 4 'Mech Paks will expand the gameplay for the best-selling, award-winning MechWarrior 4: Vengeance, based on the popular game of mechanized combat from FASA Studios™. Each Pak will give players new 'Mechs, a new electronics package, a new weapon, and a multiplayer map. Cyberlore, the team behind the successful MechWarrior 4: Black Knight expansion, is developing the Paks in conjunction with the FASA MechWarrior 4 team. Microsoft today announced that two new MechWarrior™ 4 'Mech Paks will be available in retail locations throughout North America this year. The Paks will expand the gameplay for the best-selling, award-winning MechWarrior 4: Vengeance, based on the popular game of mechanized combat from FASA Studios™. Each Pak will give players new 'Mechs, a new electronics package, a new weapon, and a multiplayer map. Cyberlore, the team behind the successful MechWarrior 4: Black Knight expansion, is developing the Paks in conjunction with the FASA MechWarrior 4 team. "These new ‘Mech Paks will expand the award-winning multiplayer experience first brought to you in MechWarrior 4: Vengeance, and allow the player to explore the MechWarrior universe in greater detail," said FASA studio producer TJ “PAINGOD” Wagner. 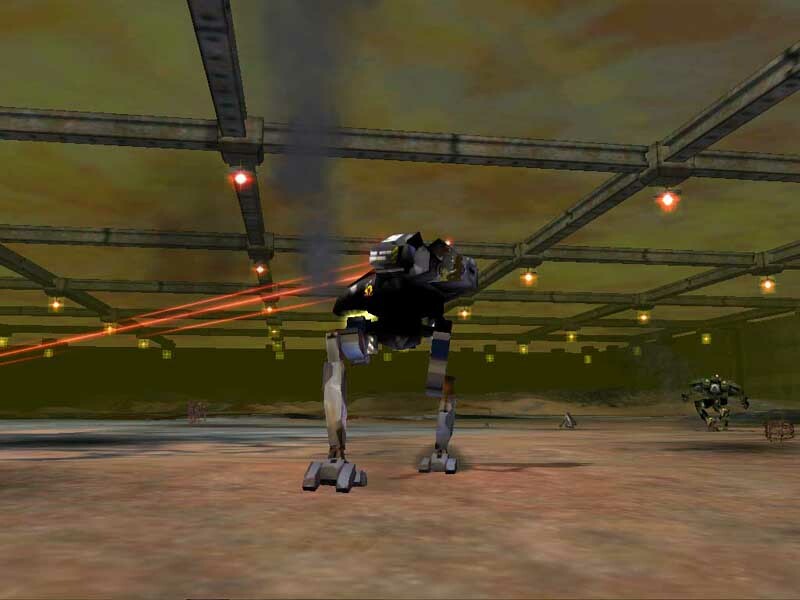 "When combined with the initial release or the Black Knight expansion, these titles add further depth to the most complete MechWarrior experience in the long history of the franchise." Coliseum Multiplayer Map - 'Mechs duke it out in the arena, entertaining millions. Heavy Gauss Rifle - The HGR hits harder than the standard Gauss Rifle, at the expense of tonnage and range. IFF Jammer - Spread confusion in the enemy's ranks with this new component. MechWarrior 4: Clan ‘Mech Pak will follow shortly thereafter, with more details available as development proceeds. In a new development, players will be able to vote on which 'Mechs will appear in future MechWarrior releases. The first "Select a 'Mech" survey is focused on the Inner Sphere, and players can pick which of the Inner Sphere 'Mechs they want to strap into. The 'Mech that gets the most votes will be added to the lineup for future MechWarrior titles. After this survey is complete, there will be another for Clan 'Mech selection. For more details on the survey, visit http://www.microsoft.com/games/mw4_blackknight/future_mechs.asp. Battletech Material © 2002 FASA Corporation. Mechwarrior, Battletech, BattleMech and 'Mech are registered trademarks or trademarks of Fasa Corporation and/or Microsoft Corporatiom in the United States and/or other countries.